Adding to my resume… foodie and food truck competition judge. I was given the pleasure of being one of the judges at the Taste of 3 Cities Food Truck Competition in Baltimore yesterday. I never really considered myself a foodie, more of a skinny girl with an inner fat girl trapped inside. However, I was not going to pass this opportunity to be gluttonous. 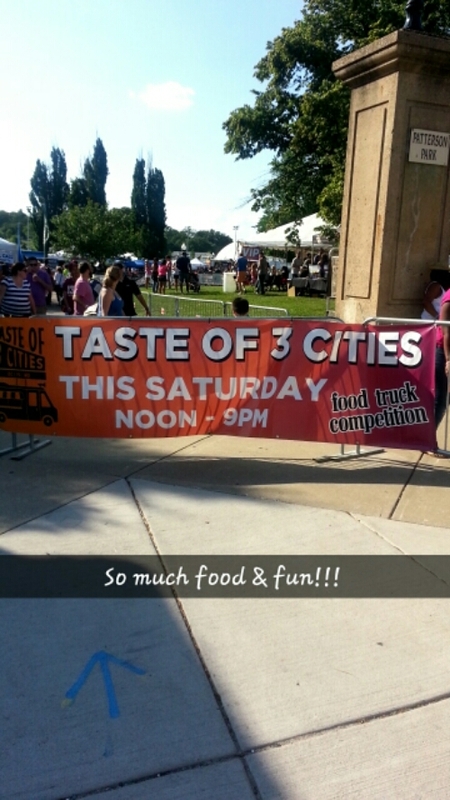 Taste of 3 Cities included food trucks from Philadelphia, DC, and Baltimore. There were about 55 trucks total going for a number of different prizes. Proceeds from the ticket sales to the Baltimore event went to Meals on Wheels and The Red Campaign. 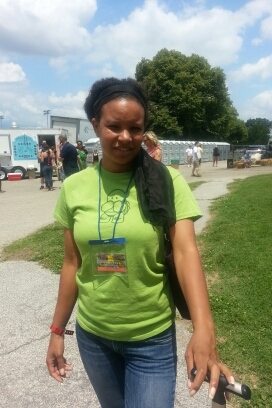 The event was run by The Gathering, a group that coordinates food truck events in the area. There were 20 judges rating trucks on both the food samples they sent us and the overall presentation of their truck. Sitting at the table with me included a Marketing Director for one of the event sponsors, a bbq competition pit master, and a journalist/artist. I was nervous, of course. There was a part of me completely unsure of how I would rate these dishes. As soon as the first samples were passed around my inner foodie came out. The judges at my table talked about presentation, flavor, texture, concept, and ingredients used. There were a lot more misses than I expected. Part of that was due to how long it took for us to get samples. The presentation was lost on many of the dishes. Some trucks clearly didn’t send their best dishes. Some trucks didn’t send individual samples but a big sample we should all share at the table. (Hint: Don’t do that. It pisses the judges off.) Some trucks didn’t bother to send us anything at all, which was disappointing. Despite that, there were a few awesome samples. We polished off a few of the items sent to us even though we were supposed to save room. Flavors for a few dishes were so amazing. By the end of the whole thing, I was ready to be rolled out of the judging area. The walk around the event to rate the look of trucks was a welcome bit of exercise. I wished I was able to take more pictures. I wish there was room in my stomach to encourage me to get some take home food from the trucks when I was done. I wished they gave the judges more water to have instead of us having to get the free VIP drinks (alcohol & food tasting are not always a good plan… but the drinks were yummy). I wished my favorite food truck would have sent a better sample (submissions were blind & I couldn’t tell what was theirs). Ultimately, I wish that I am invited to judge again next year. It was an awesome time. The staff was friendly and helpful. The other judges were awesome and fun to hang with. All the trucks looked awesome. The lines were long. My family had a great time while I was judging. The music was great. I CAN’T WAIT UNTIL NEXT YEAR!! !